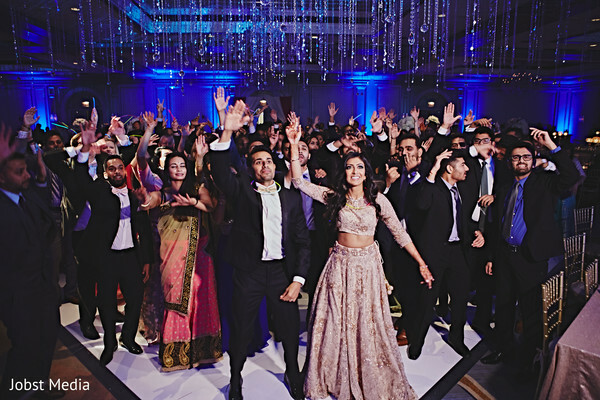 Rashmi and Nehal’s wedding bash took place at Henry Hotel! 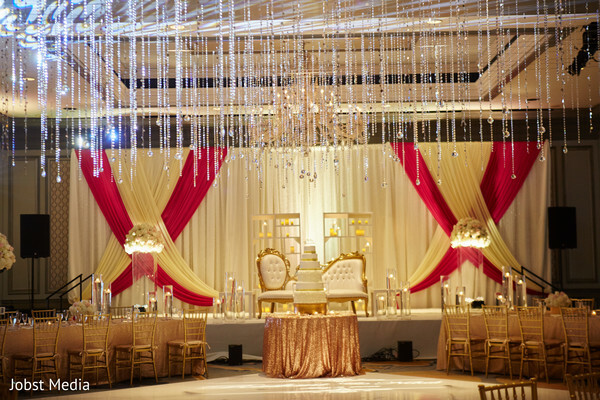 The reception was a huge production orchestrated by Blissful Weddings & Events that featured endless custom and fun details that reflected the couple's professions and good taste. Unique "pharmacy" labels on a pill vial with mints on the inside were hand out at the same time; a delicious gelato cart complemented the delicious wedding cake created by Wisteria Bakery! 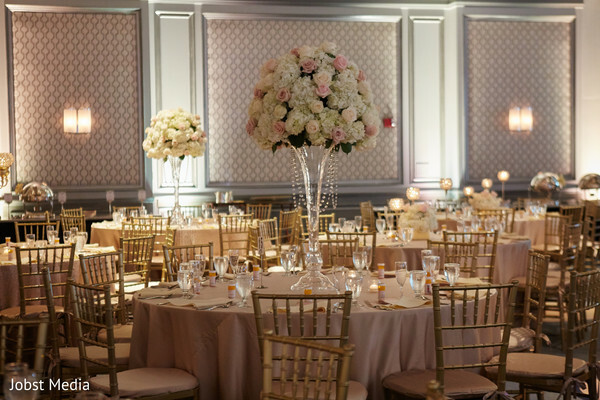 Bellisario Florist took care of the glamorous décor that festooned the hall with a flashy ceiling of hanging crystals and gracious florals. The duo arrived in their brightest attires and best moves while fountains of sparklers provide by DJ Ice & Fresh Productions gave a memorable touch to the stellar entry. 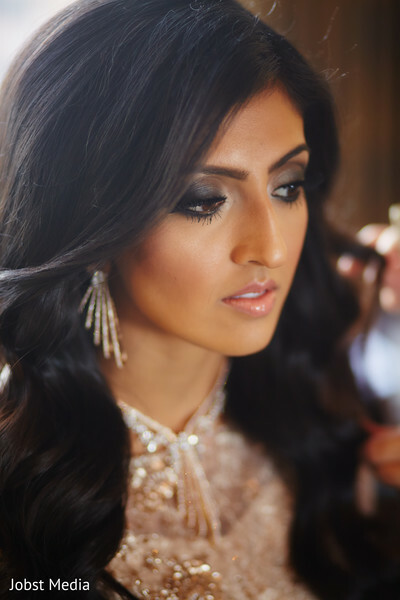 Rashmi’s embroidered reception lehenga and evening hair and makeup look by Amanie Mokdad Makeup Artist created the perfect elegant party combo! 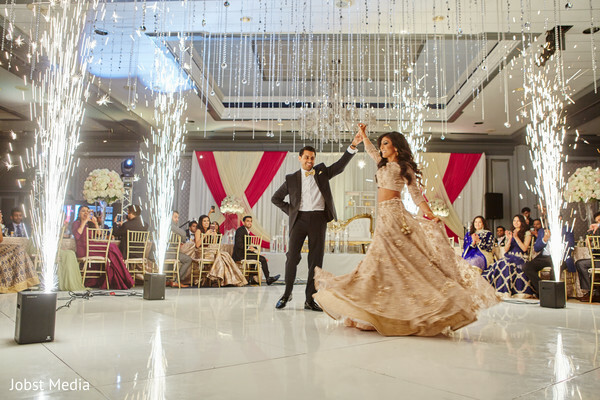 Jobst Media captured the day in all its glory and the pictures are just dreamy! Enjoy the imagery in our full gallery with all the key moments. Nehal told me we were going to Florida for his best friend, Sean's wedding, so naturally, I had my nails done, a nice outfit on, etc. The day of the "wedding" he had me get ready early on in the day for bridal party pictures. We arrived to Boca Ciega Bay and he took me behind the building, saying the bridal party was just running a few minutes late. He asked me to come close to the water, but because I was wearing heels I actually decided to not go too far. When I turned around, he was on one knee asking me to marry him. He says the first thing I said was "what about Sean's wedding" and didn't answer his question. We took pictures with a photographer he had hired for a while before we headed to brunch at The Don CeSar. On my way to brunch, I called each one of my family members with the great news, only to later find out they were all sitting together enjoying brunch at Nehal's house in Florida waiting to surprise us on a boat Nehal rented for us! The whole weekend was such a rush, and no, Sean did not get married that weekend. 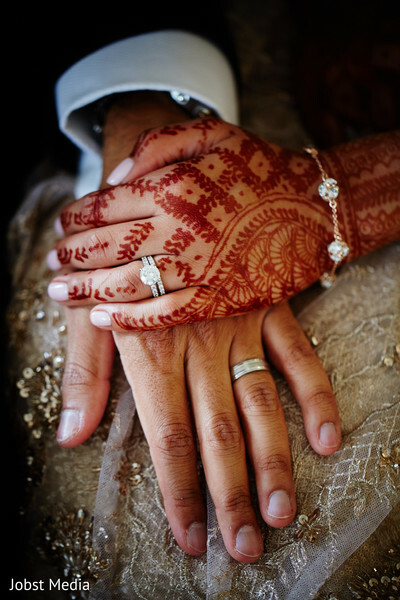 The most enjoyable part of the planning process was the endless support we received from family, friends and our amazing wedding planner, Rajul from Blissful Wedding and Events. It made for such a smooth, stress-free process. With everyone's support, it was so exciting to see the wedding weekend come to a reality after 1.5 years of planning. We had a lot of unique ideas throughout the weekend that made our wedding enjoyable to guests. We had a combined mehndi at my house as Nehal is from Florida. We put up a clear tent on our driveway and had a wood-fired pizza vendor come out for dinner! 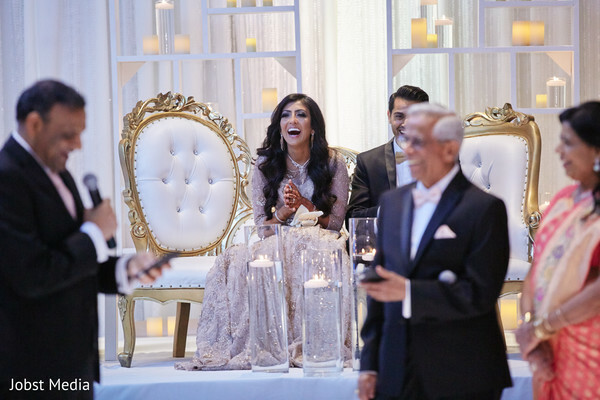 Dippin' dots was served during our sangeet and had a gelato cart at our reception! We also had customized hotel keys with our picture on one side and the schedule for the weekend on the other side, making it easy for guests to know when and where each of the events were being held. Lastly, we had a very unique reception favor. Nehal is a physician and I am a pharmacist so we made custom "pharmacy" labels on a pill vial with mints on the inside. Those were a big hit! Our first dance. 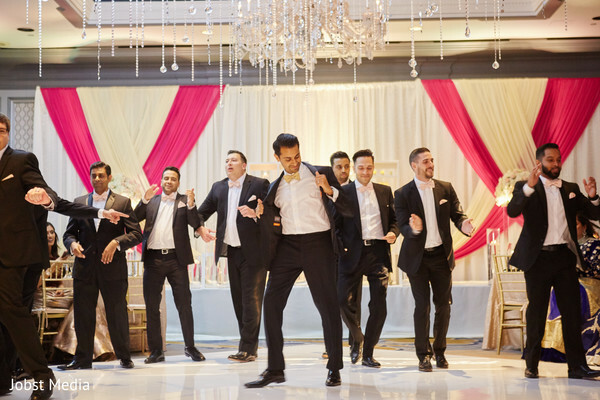 One of Nehal's best friend's, Irfan, sang our first dance song. He sang so well that some people thought the real song was playing. We also had sparklers go off during some portions of the dance - the pictures turned out so vibrant! Check out more steal-worthy ideas for your big day tomorrow!